In the run-up to the Indiana Microbrewers Festival, we're celebrating HBG's Hoosier Beer Week. And we now have more details about the final event for #HBGWeek. What: Hoosier Beer Geek's Hangover Brunch - Follow up the Indiana Microbrewers Festival with a hearty brunch designed to get you back on your feet. 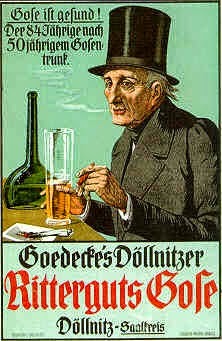 Gose–the lactic and salty specialty ale associated with the German cities of Goslar and Leipzig–has a chronicled history dating back over a thousand years. Today, with interest in sour ales soaring, “new-traditionalist” brewers in Germany, the U.S., and beyond are recreating the style – generally with a nod towards a sweeter, more “drinkable” palate, or to a relatively simplified, aggressive lacticity. Ritterguts Gose is the real thing, the one example still made to the traditional recipes – boldly sour and funky, but with the elusive old-German qualities of balance and complexity. An oatmeal stout with 25% oat-based ingredients and a nice touch of gourmet coffee and a lot of smoked malts. This beer is a smoked version of Mikkeller's Beer Geek Breakfast. Ingredients: Water, malt (Pils, oat, smoked, Caramunich, Brown, Pale Chocolate and Chocolate), roasted barley, flaked oats, hops (Centennial and Cascade), ale yeast, and gourmet coffee. Gose-mosas. Ritterguts Gose and Orange Juice. Micheladas. 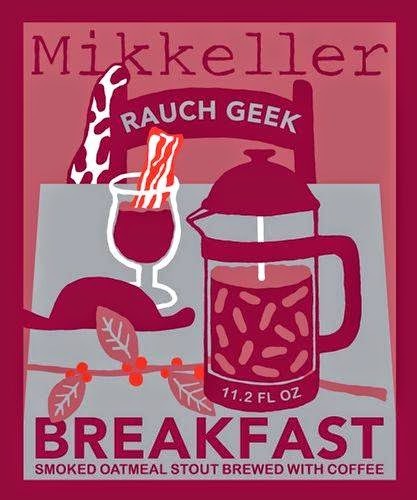 Rauch Geek Breakfast and Thunderbird's special Michelada mix.